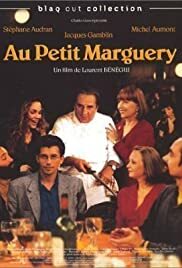 This is a really nice film centred around the last night of a restaurant. As the friends and regulars of the restaurant gather for one last dinner they each revisit various memories of the other dinner guests. It's full of intimate moments and the whole film is very honest and unromanticised. Not at all Hollywood. I'd really like to see this film again sometime - not a blockbuster but well worth my time. I was tired and didn't really feel like following subtitles but I found myself drawn in anyway. So I recommend this one for a quiet afternoon with your cat and a cuppa.